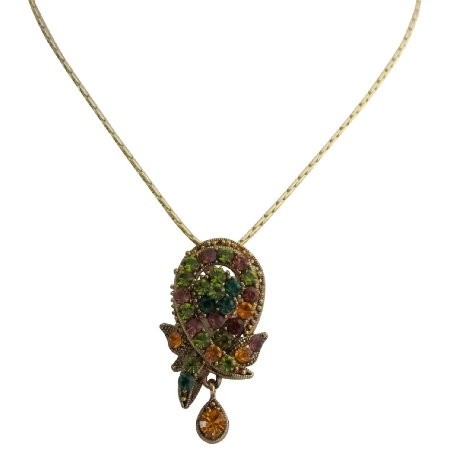 Gorgeous antique gold with multi color Crystals embedded all over Floral with dangling teardrop. This vintage style Pendant has a unique combination & adorned in high quality gold rhodium plated chain. Beautiful pendant creation perfect gift for a mother.